NTT Inc. - Retraining Workers in Electrical Safety: How Can I Give them a Refresher? Every year, serious injuries and deaths are caused by encounters with electricity. Some of these accidents involve people whose job it is to work with electricity, and who know the importance of adhering to safe procedures. But over time, anyone can grow lackadaisical about safety. There’s a built-in assumption that you know what you’re doing, so you may tend to overlook or forget some of the more rigorous procedures that ensure you maintain safe practices. Or, sometimes technology changes, and new equipment is added, and along with it, a new way of doing things. That, too, can result in accidents. That’s why it’s always a good idea to invest in electrical safety training for your employees — be they those who work with electricity regularly, or those who work with it intermittently as a part of other duties. In fact, the Occupational Safety and Health Act (OSHA) requires that affected workplaces offer best practices safety training for electrical hazards. OSHA, which further requires that only qualified workers can maintain and repair electrical equipment, states that qualified workers should be trained to identify exposed live electrical parts and voltage, and that they know what procedures to follow when their work involves exposed live parts. Workers who are not directly involved in working with electricity should also be trained, according to OSHA. Employees in mass transit, utility, mechanic repair positions, industrial goods manufacturing and other jobs are also at high risk of injury from electrical mishaps and should get safety training. NFPA (National Fire Protection Association) 70E® is designed to help companies and employees prevent injuries and deaths in the workplace due to electrocution, shock, arc flash, and arc blast. In 2018, the NFPA released the latest version of its 70E® standards, emphasizing a risk assessment approach to electrical safety. This means the employee and manager should maintain a practice of identifying and eliminating hazards in jobs involving electricity. Risk assessment also involves knowledge of methods to mitigate hazards, and how best industry practices can help operations comply with requirements and achieve safety when performing electrical work. Training in NFPA 70E® should be conducted every three years for all employees involved with any electrical work. The best training will involve hands-on instructor demonstration and practice for students, followed by a student response that confirms they have absorbed the material. Scenario-based exercises help students as they study the training materials (preferably illustrated and annotated) gain a better understanding of how to improve safety in their own workplace. For instance, a trainer might ask students to compare the training materials overview of NFPA 70E® standards and the electrical safety program requirements highlighted in the materials with the students’ company’s electrical safe work program, and to give examples. Or, as a means of demonstrating how to perform a risk assessment, trainees might develop a job safety analysis for a typical electrical task. The JSA could then be used through the rest of the class for in hands-on activities. Beware of trainings offered solely in PowerPoint lecture style; a hands-on approach is widely recognized as a superior teaching method that will lead attendees to make sound decisions and exercise safe judgment in a variety of scenarios. Who Should Go to Training? It’s also important that you, the owner or manager of the operation, take the training as well. What Will My Employees Learn? Ability to develop an emergency response drill, including CPR, in a simulated electrical accident. Do You Need to Retrain Your Workers? Increase safety in your operation by scheduling regular training (and retraining) in electrical safety. A good safety plan will save lives, while preventing injuries and property damage. 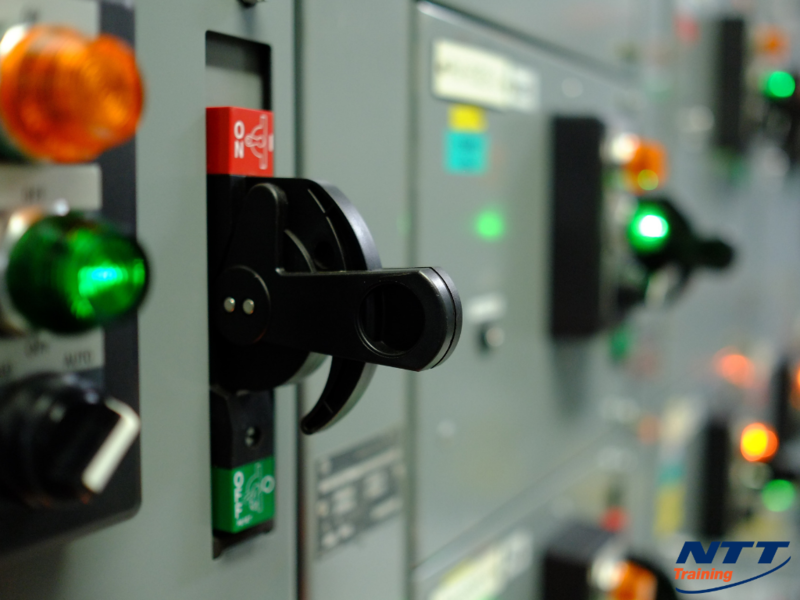 Consider enrolling your team in 2018 Arc Flash Electrical Safety (Based on NFPA 70E), a two-day seminar from NTT Training.